Social Media Marketing is an important component to an overall successful marketing campaign….and it doesn’t have to be complicated. To start with, I will provide you with a free consultation overview to review your current marketing activities and what your future goals using social media will be. Then I’ll propose a plan of social media action which includes several options. Create or optimize your social media identity on your chosen sites (Facebook, Twitter, LinkedIn and Blogging) then provide you with personalized tutorials (per site) that prepare you or your team in handling the online communication and relationship building thus creating your own Virtual Footprint. I share, you profit! Create or optimize your social media identity then become your (or your company’s) virtual assistant. I would then handle all the online interacting, content marketing and relationship building on your behalf (3 month minimum to start). I post, you save time! Have an event coming up. 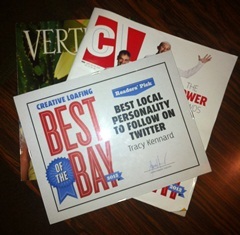 Utilize social media tools to drive traffic to your live, Tampa Bay Area event! Social Media Event Marketing. When someone searches for you on the Internet, don’t be invisible. 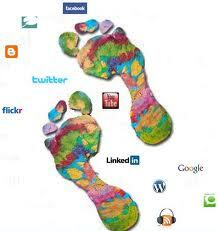 Let your new customer, partner or colleague find a positive, informative and visible Virtual Footprint. Just listen in on the conversation, I share useful, practical, quick and easy snippets of helpful social media information on my Blog, Twitter and Facebook. Already a client? Pay by credit card here!